Graham Fish is a well established artist with work in public and private collections, and his recent commissions have been for P&O Arcadia. 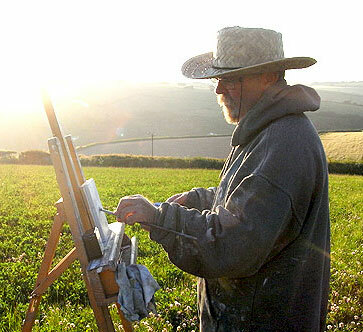 He is well known for his stunning paintings of the sea – which reveal a depth of understanding of the power and charisma of this natural force that is so present in the South West. As a keen surfer he is intrigued with the process of trying to reveal the sea in all its wonder, and somehow capture that on canvas. Some of the canvases he produces are massive – seascapes,the figure and portraits are given the large scale treatment. I live by the sea in Devon, England. Everyday is ruled by the sea’s rhythm, its colour, depth and character. Sometimes it’s wild dull and grey. At other times it’s still and shines so much it hurts your eyes to look. The sea has got inside me and touched my emotions, I think I’m obsessed by it and that’s working itself out in my paintings. Graham has chosen The Sea as his subject matter for many years. His work is in private collections in London and the USA, and he has exhibited all over the UK, receiving many private commissions, including, most recently, major works for P&O. Educated in Blackpool, Lancashire, and with a background in printing and graphics, Graham gradually, through his love of the sea and surfing, made his way to Bantham, where his charismatic studio evidences a real commitment to his creative work. 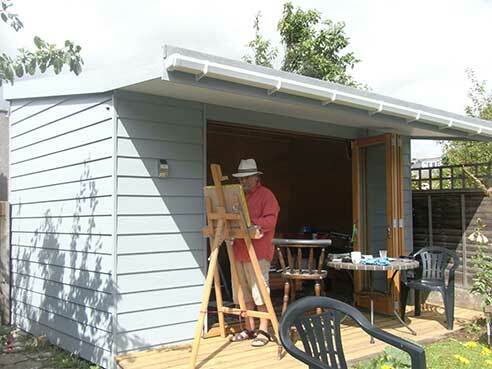 It is over the last few years at Bantham, that Graham has made a shift, and began working with portraits. His large, charismatic paintings and charcoal drawings have a way of grabbing the attention of the observer, and drawing one’s attention to details that we might otherwise miss, along with our overall view of the whole image. For the portraits, the sitters are sometimes members of his family, but also fellow surfers – people who share the other passion of this rather self effacing and genuine artist.